This is probably the best music documentary I’ve ever seen. It is a music documentary, but really, it’s so much more. It’s a look into Alzheimer’s disease. 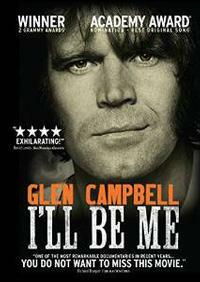 After being diagnosed with the illness, Glen Campbell went very public with his personal story. He recorded a final album and set out on his last tour. A camera crew was with him along the way. This is a story of courage. It’s the story of failing health. It’s both sad and uplifting. I can’t recommend this enough to fans of Campbell and country music or just people dealing with the disease. It’s a personal story and a musical story.